At Majestyk we try to take at least one field trip a week. 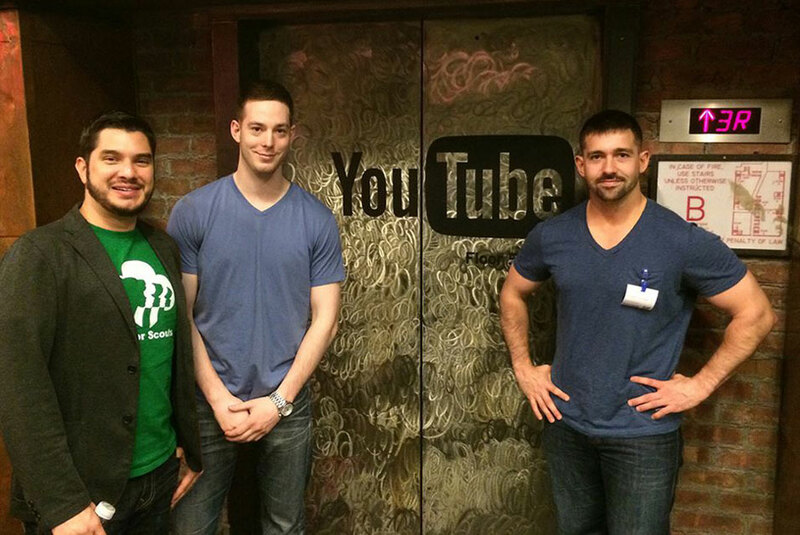 This week we visited Youtube Studios at Chelsea Market in NY. Courtesy of our Infrastructure Guru JP Benini who seems to be as well connected as he is brilliant. The tour was fantastic and I was extremely motivated by their office space. We often talk about culture here at Majestyk. We strive to build an environment where team members want to come to work and are armed to be as productive as possible. We give each person the ability to take control of his/her projects and take as much responsibility as possible – it has worked brilliantly. Our team has thrived in this environment, and our efficiency in the last several months has been amazing. Being at Youtube Studios was a gentle reminder of how far we still have to go. The office was amazing. They have a full lunch bar, drinks everywhere (notably no shortage of caffeine). They are equipped with razor scooter parking and a waterfall! Now, we don’t need all those perks; however, the environment was very open to conversation and everyone was given what they needed to succeed. It seemed like the creativity levels were several ranks above a typical office space. We aim high so it gave me several ideas of office improvements going forward, with our most recent being: my four month old yorkie, Mia. Mia has had a very positive effect on the office environment, as it’s very difficult to not smile when you have a playful puppy greeting you at the door everyday. Clients love her, and random people stop by the office from the other floors to say hello. Do you have any ideas about how to make the office culture better? Tweet us your thoughts @majestykapps. Don is one of the Co-Founders of Majestyk. He has helped both large and small companies strategize and launch their tech products. Following 8 1/2 years in the USMC reserves he spent several years in Veteran focused non-profits and continue the fight as director of the NYC chapter of Vets in Tech.